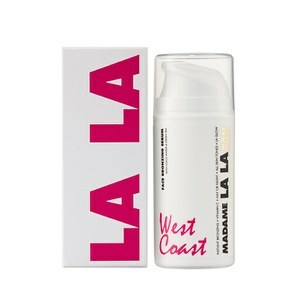 Madame La La Tan in Regular (200ml) is a dynamic do-all self tan perfecting mousse that has been designed to create the ultimate LA iconic glow. The LA tan develops into a deep golden colour in just 3 hours, making skin look flawless. Formulated with natural skincare benefits, the mousse is infused with Coco water that Madame La La first recognised benefits skin care. The Coco water extract sourced from Baja California (Mexico) hydrates the skin helping firm, tone and improve elasticity. The quick-dry tan perfector contains innovative colour customising technology that ensures your tans looks natural whilst it adapts to your natural skin tone. The combination of Coco water extract, Vitamins A & E, and Aloe Vera Extract and Green Tea Extract enable the quick dry tan to instantly colour correct like a CC for the body, reducing the appearance of cellulite, lumps, bumps and uneven skin tones.